Official number crunchers say it is too early to say that the pace of price increases has peaked but there was some Xmas respite. 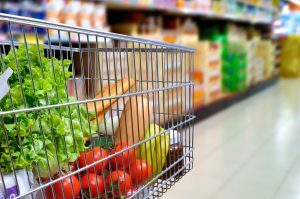 The rate of inflation has eased for the first time since June last year, falling to 3% in December as growth in food costs slowed. The Office for National Statistics (ONS) said a weaker increase in air fares compared to the same month in 2016 also contributed to the 0.1% fall in consumer price inflation from 3.1% in November - then a post-Brexit vote high. Higher import costs because of the collapse in the value of the pound has been largely responsible for driving living costs up in 2017. At the same time, households have felt a squeeze from wage growth failing to keep pace - a scenario reflected in many Christmas trading statements from retailers. The ONS figures provide some hope that economists are right and the worst of the price increases have now filtered through. But James Tucker, a statistician who compiled the figures, said: "It remains too early to say whether today's slight fall is the start of any longer-term reduction in the rate of inflation." The impact of price growth on consumer spending - along with uncertainty over the terms of the UK's divorce from the EU - have been dominant factors in the slowdown in the UK economy during 2017. The Bank of England has predicted that Brexit-linked inflation will have peaked by now - giving some hope of respite to consumers feeling the pinch. But figures out next week will show whether there has been any improvement in the gulf between inflation and wage growth. Commenting on the ONS figures Paul Hollingsworth, senior UK economist at Capital Economics, said: "The fall-back in CPI inflation from 3.1% in November to 3% in December marks the beginning of what we expect will be a sustained downward trend over the course of this year. "December's rate was in line with the consensus expectation, with the breakdown showing that a rise in fuel prices (reflecting the recent rise in oil prices) and tobacco prices (reflecting the duty changes announced in the Autumn Statement), was offset by a smaller contribution from airfares inflation. "Meanwhile, the producer prices figures showed input price inflation fell sharply, from 7.3% in November to 4.9%, suggesting that price pressures at the beginning of the production pipeline are continuing to cool." On the prospect of the Bank of England's monetary policy committee (MPC) raising interest rates again following November's rise to combat inflation, he added: "The MPC is unlikely to feel pressured into raising rates again very soon."